After a week at the Bologna International Children’s Book Fair, Gecko Press associate publisher Rachel Lawson and I are both in a state of happy exhaustion (me in Sicily and Rachel in Rome, enjoying a few days of what a fellow publisher calls la vita italiana). It is a well-deserved reward, and part of the charm of working as a children’s publisher. I get many and varied offers of people wanting to travel in my suitcase – there is no room in there of course, unless someone can make me a bag like Mary Poppins, but I appreciate the offer always. A book fair is hard graft, alongside the pleasure. Rachel and I combine early mornings (emails overnight from New Zealand) with late nights (enthusiastically entering into the spirit of good food and collegiality that is at the heart of the Bologna children’s fair). We visit the stands of some 70 children’s publishers, look at 300 or so books in other languages than English, and talk to lots of people. For a day at least after the fair, one can even be overbooked. For Gecko Press, we are looking for what we call curiously good books – books of strong character and good heart, with stories that parents and children will want to read hundreds of times. We are looking for books we feel we haven’t seen before, with a harmonious combination of picture and story that sets up a hum, larger than the sum of its parts. At the risk of being lofty, we are looking for books that contribute something to humanity or acknowledge what it is to be human. 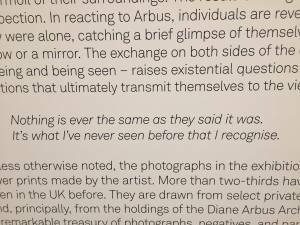 I saw an exhibition of photographer Diane Arbus in London this year, before Bologna, which quoted her as saying: “I only recognise what I have not yet seen” – that is what we look for. The vision of Gecko Press has not changed in our 15 years. We want to publish books by the best writers and illustrators in the world; books with “substance” where a child and adult together have much to discover long after their first read. These may be books with deep and several layers; sometimes they may provide nothing but simple joy, no more or less. I am often asked how we choose which books to translate and publish – do I know 15 languages, and do I meet authors and how does the whole business of buying and selling rights work? My answer always is that choosing books starts with relationships and friendships. We start making our Bologna schedule of half-hour meetings in January. When we get to Bologna, we meet our favourite publisher rights agents, and some we don’t know yet. In between, we meet publishers and agents and illustrators and authors too, in the aisles and streets and bars and restaurants. We have a core of rights agents who know what we are looking for at Gecko Press. And these meetings are very satisfactory: often we will only be shown a very small number of books, which is perfect. Our catalogue helps when we meet new publishers; it shows the kinds of books we are choosing, and they recognise many of the books and writers and illustrators on our list. I always look at the catalogues of other publishers who are similar to Gecko Press, to see what they have on their list, and I have some special people I swap notes with about what we have seen at the fair. In the end, the choice of books is a kind of Rubik’s Cube mix of what I see and hear, combined with the emotions a book generates, and trust in my own and Rachel’s instincts for what feels good and right for Gecko Press, and where a book fits in our list. We also trust the judgement of our key translators who can read the books in their original language. We are given a rough translation, and we are good at reading into the translation what is not there. And we will know what sort of writer is this, and what sort of book is this, and we will look at its emotional arc, and what it is telling us. 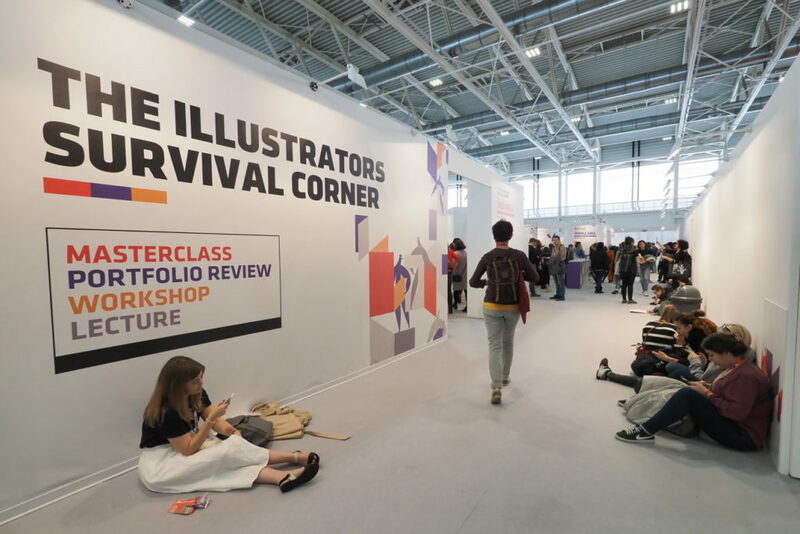 Sometimes a particular illustrator can appear difficult when seen for the first time, but after many years, there is a resonance that cannot be ignored. 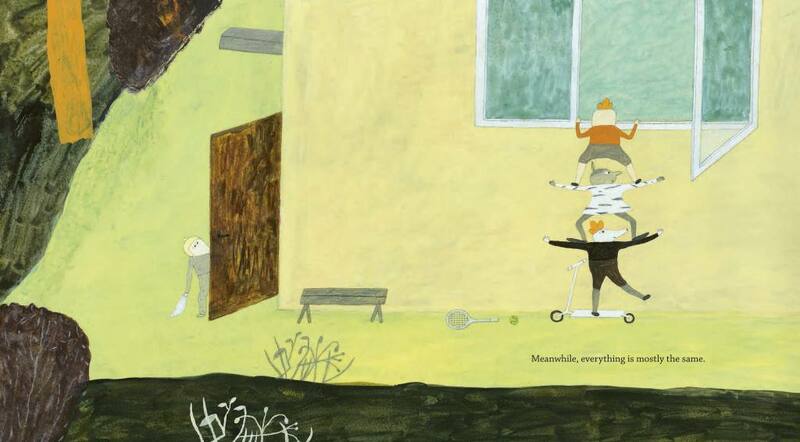 Eva Lindström is one such illustrator: her work is quietly humorous, lyrical and sometimes the stories are bonkers. 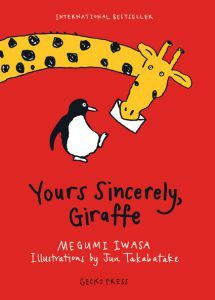 I think her books will be remembered in many years, along with those of Wolf Erlbruch, Jutta Bauer, Kitty Crowther, Blexbolex, Ulf Stark of course – there are many on our list, in fact. There are others not on our list, because they have been published in English elsewhere or because they are out of our age range, such as Bart Moyaert who so deservedly won the Astrid Lindgren Memorial Award this year, and of course those working in English, too many to mention. In the end, our choice of book is personal. We say it in our Who We Are catalogue: We try to choose books that tickle our funny bones, that ask big questions, that slow us down or speed us up; we choose books that don’t behave, even though they know how to. Books that tell us things in new ways. Because one good book can spark a lifetime of reading. Nothing could be simpler than that. Or harder. But no one ever said publishing good books was easy. But book fairs … now a week has passed and I am again in bookshops in Sicily, looking to see what is in the children’s section, where it has come from, who has published it, how many copies there are in the shop … all the things that contribute to choosing a book that will travel and last the distance. The Bologna Children’s Book Fair is held every year before Easter. 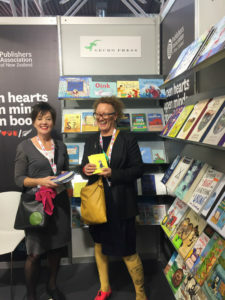 More than 1400 exhibitors come from all over the world to show other publishers their coming books, recently published books and good books we may have missed. For four days each day is filled with intense half hour meetings starting at 8.30 am through to 6 pm, when a loud announcement is made for everyone to leave the buildings immediately. Many people have heard of the Frankfurt Book Fair, held in October, for adult and children’s publishers. 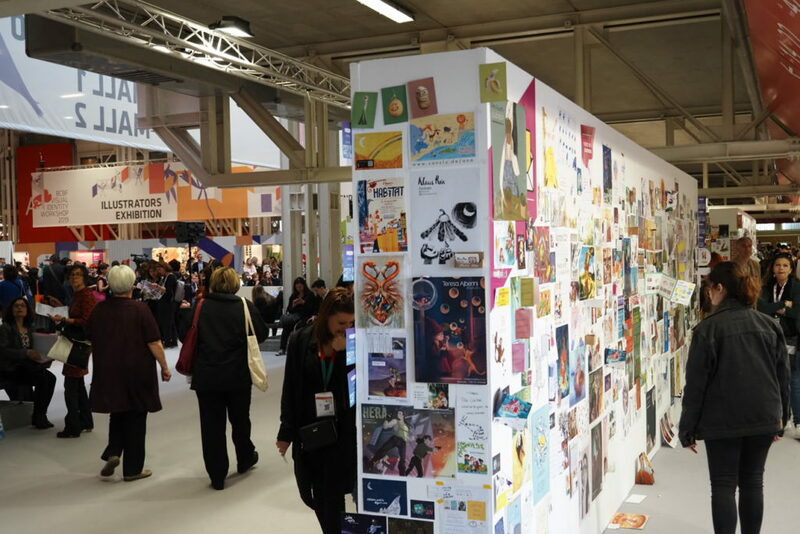 The Bologna Fair is special because it is only for children’s publishers and increasingly, for illustrators who apply for the Bologna exhibition, stick up work samples on the illustrators’ wall and line up outside publishers’ booths in the hope of having their work seen. The Bologna Book Fair is smaller, with just four halls (compared to seven at Frankfurt): it is relatively easy to navigate. Bologna is a small and compact city, similar in size to Wellington and has the oldest University in Europe.